Really this should read my *going out garments* but it wasn't quite so catchy as my party pieces! The fact is that there are no parties on the horizon for me over the festive period! Long gone are the days of a big office Christmas bash that requires a party dress and a week's worth of lady maintenance and preparation! These days the highlights of my Christmas calendar are a meal straight from work and a neighbours drinks party in between Christmas and New year! I am so rock'n'roll....not! So as much as I'd love to splash out on a fab new outfit I am instead looking to update my evening wear wardrobe with a couple of pieces that compliment a few purchases I have already made and that I can wear all year round! First up I felt I needed a tux! 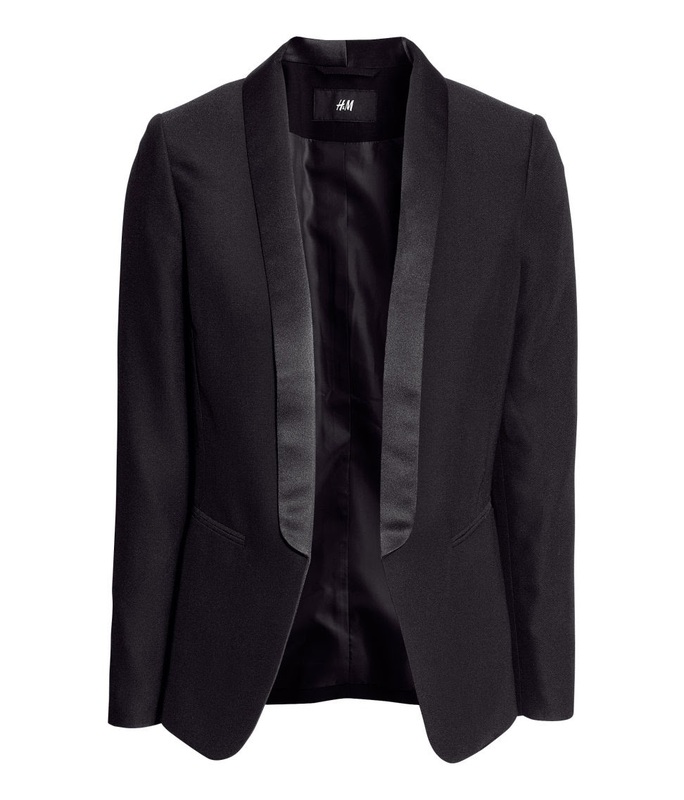 I have an ancient Jaeger one but it is quite boxy and I fancied something longer and fitted.....cue a trip to H&M where I picked up this beauty for just £24.99! I found it came up small and I've ended up with a size 14! 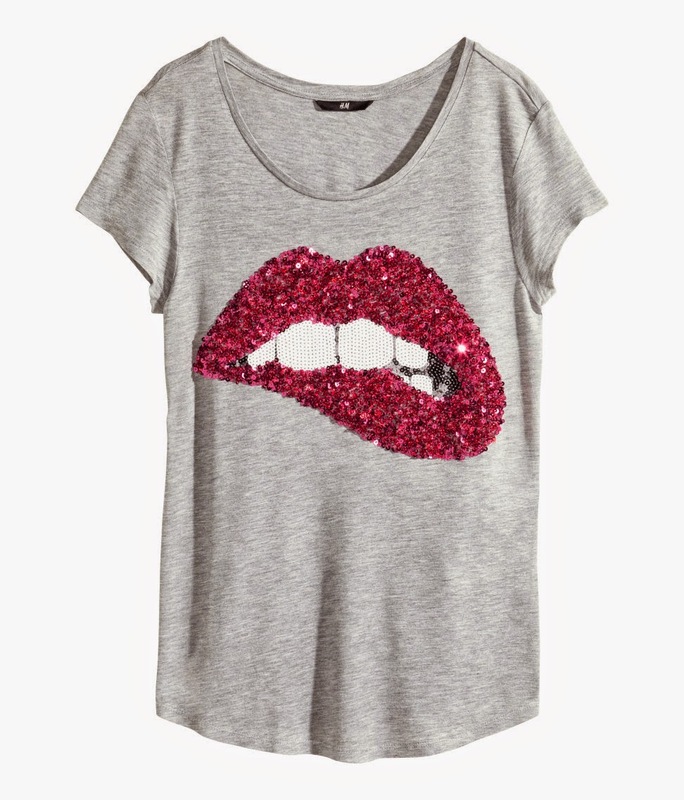 I'm not a Christmas sweater wearing type of girl but I am not adverse to a little bit of something sparkly so I plumped for this fab t-shirt also from H&M, another excellent bargain at £7.99! Right at the start of the season I purchased a fab little lacey pointy pump from H&M and they completed this look perfectly! Here is the ensemble which I wore for a Birthday dinner with my hubby on Wednesday! A very un-classy ladies room shot I'm afraid! I thought the t-shirt would be a great alternative to my denim shirt to wear with my faux leather skirt so I had a little try on! Quite frankly if I hadn't bought the M&S caged sandals earlier in the year I would definitely be heading straight to get these amazing sandals from Next but I just cannot justify another pair of sandals as have only worn the M&S ones a couple of times! I got the new H&M tux out again today......I may have been a tad overdressed for Sunday lunch at the pub but as I said I don't get out that much so I'm grabbing every opportunity to wear it! With another pair of shoes I picked up this week! If you missed the New Look lace up metallic heel lace up pointed pumps a few weeks back they are now in stock again so get some while you can! A quick round-up of my outfits from this past week! I would love to hear what your party pieces are! Are there any absolute wardrobe winners that you bring out every year? I best get off and sort out that filthy mirror....be back soon! You already know that I rely heavily on Pinterest and Instagram for outfit ideas, I follow tons of blogs and can often be caught stealing style from my fellow blogging friends too ;0) Those of you who may have followed me from the beginning will know I started my outfit sharing journey on an amazing website called Avenue 57, run by the lovely Fiona Blake. Avenue 57 is no longer in it's original form but it is still around in a fab new format! There is tons of inspiration to be had here, some great advice........if you want it you can ask for it! There is plenty of sharing of outfits, clothing inspiration, and lots of superb info on High Street deals and voucher codes to be had. You can join in the fun as Fiona has now set up a closed group on Facebook to take advantage of all that Avenue 57 has to offer! I am now going to show a tiny slice of what superb inspiration there is on offer! You may remember that a couple of posts back that I purchased some fab glittery harem trews from H&M! Now, I bought these for any Christmas do's I may have coming up, they were such a great buy at £9.99, I wouldn't worry if I only wore them once or twice! Anyway this amazing lady has shown me the way! I just love the way she has completely dressed them down....something I would never have dreamed of doing! There was me trying to smarten them up with a tux style jacket and heels when I actually think the way to go with them is the complete opposite! I haven't copied this styling garment for garment but this sowed the seed for an outfit I could put together out of a couple of new purchases I have made which is just brilliant!! So if you want to join in the A57 fun just follow the link here to sign up. As I said, it is a closed group, whilst your friends on Facebook will be able to see that you have posted they won't be able to see what you have posted on A57. A huge thank you to Natalie (I did ask permission to use her photo!) Natalie, I think you look fantastic in all of your outfits and thank you for making me think outside the box with the H&M trousers! I do love to give credit where it is due! Doesn't she look great ladies?! Here is my take what Natalie has done so brilliantly above!! 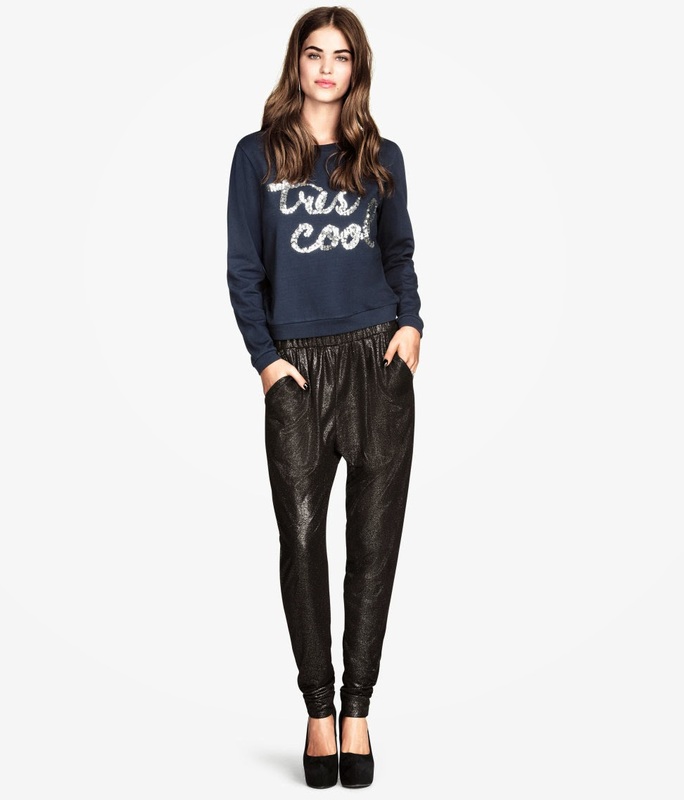 The H&M glittery harem pants from this recent post! 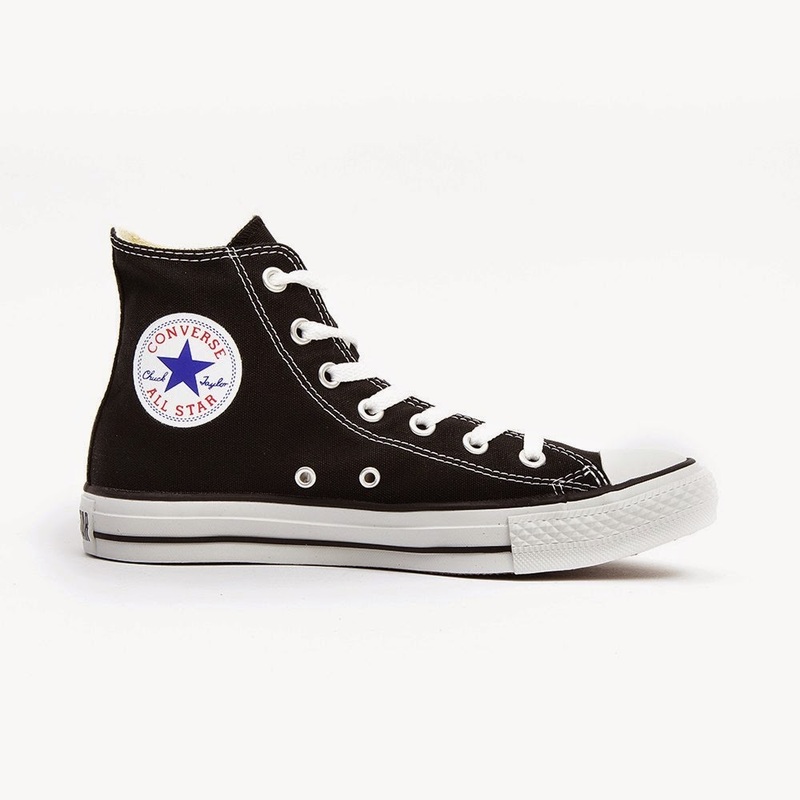 Converse black hi top via Surfdome (20% off with ILOVEWINTER & Free Delivery!) thanks to this superb inspiration from Pinterest! Thought I'd best share the inspo behind my other outfits this week! Again, I've just *borrowed* elements of this ensemble aka leopard print coat and the new Converse hi tops! Last but not least on the outfit front is this combo which is another of my favourites from the past few weeks. Now again, I merely needed a nod in the right direction to put these pieces together and this came courtesy of the lovely Sharron from Style At Every Age here! Sharron gave me the gentle prod to put together a collarless coat over a Breton as it is easy to forget what you have when your wardrobe is fit to burst with stuff!! I love the results of this style stealing!! So ladies....are you going to join the ace group that is A57? There are a few familiar faces posting there as well as lots of newbies.....it would be rude not to right?! So here I am trying to replicate this gorgeous look with the drop waist jersey dress from Hush......complete with fedora! 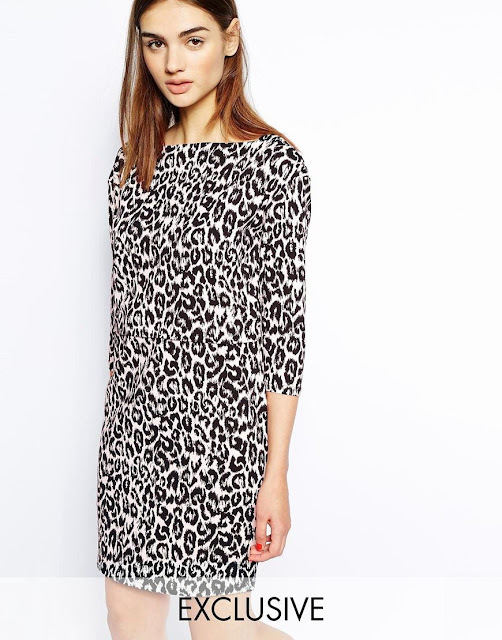 This dress is perfect for me, being jersey it is great for daywear but it is easy to dress up, especially if you have a day to evening affair (I am thinking it will be fab for my work Christmas do!)! I've given a bit of a rock-chick edge here with my biker jacket and leopard print shoes! Styled like this is would be great for our neighbours Christmas drinks party with my H&M lacey flats and M&S leopard print coat! For a more school run look, I can cosy it up with my Topshop oversize cardy. 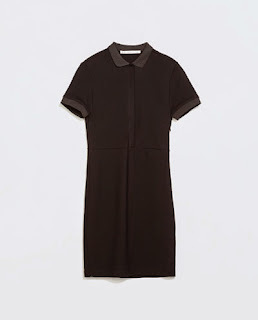 I think this is just the tip of the iceberg with what I could do with this little dress, it is so versatile that it got me scouring the High Street to see what other dresses tickled my fancy! The Zara check dress dress would look fab with the biker boots and fedora again! I also love this Zara polo shirt collar dress a bit smarter but could easily be dressed up or down! 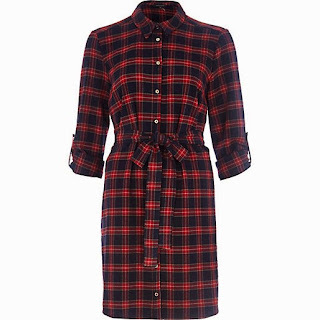 This River Island shirt dress is gorgeous, I am loving the splash of red! I saw a lady buying this River Island leather look dress whilst I was returning something so I snuck off to the fitting room to try it! 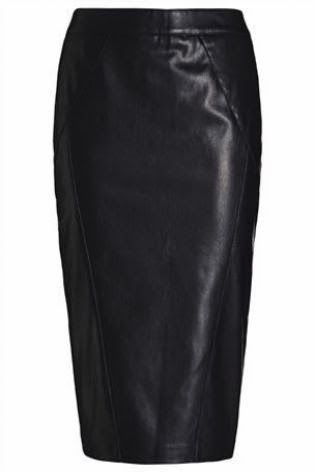 It's leather look front but the back is jersey which made it that much more wearable! 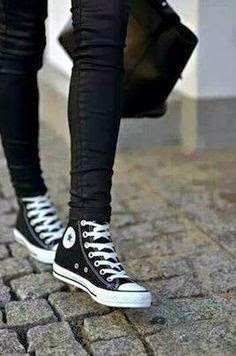 This is much more casual but something I could see myself getting a lot of wear out of with boots! 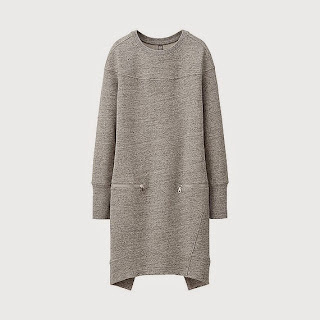 Uniqlo urban sweatshirt dress. And finally Whistles leopard print dress via ASOS I have had a lot of luck with Whistles dresses in the past and this subtle jersey dress caught my eye as leopard print is neutral don't you know! Do you have a favourite? 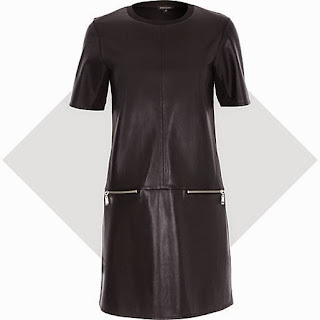 Will you be purchasing a dress for Autumn/Winter? Anyone come up with any other little stunners that I may of missed? I *may* have already purchased one of the dresses I've featured here....any guesses as to which one? ;0) What's your favourite way that I've styled the Hush dress? All opinions gratefully received! I am back with a few budget friendly finds! A few inexpensive fashion fixes that I've found on my travels! 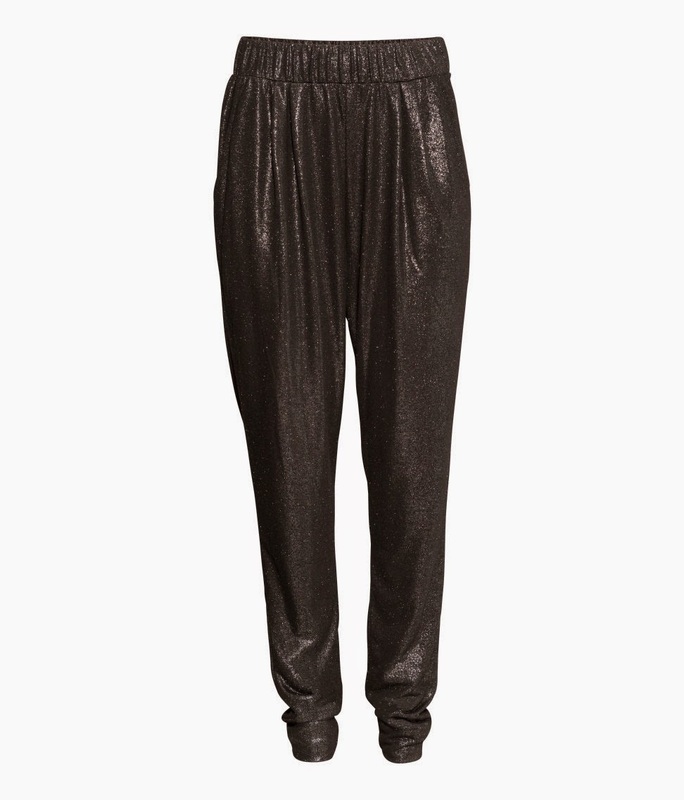 First up are these gorgeous silver glittery harem trews from H&M. I must admit that I have stolen this idea from my lovely fellow blogger Becky of Re:Style as she has some gorgeous bronze coloured ones from Next (here) but as you know, I do love a bargain and even if I only wear these once they will be winners in the pay per wear stakes as they are only £9.99! Who wants to pay lots of money for party clothes that hardly ever see the light of day.....not me! I had a quick try on to show how I would style them for a night out......now I just need another date night with the hubby! Next up was this fab little blouse from Primark! 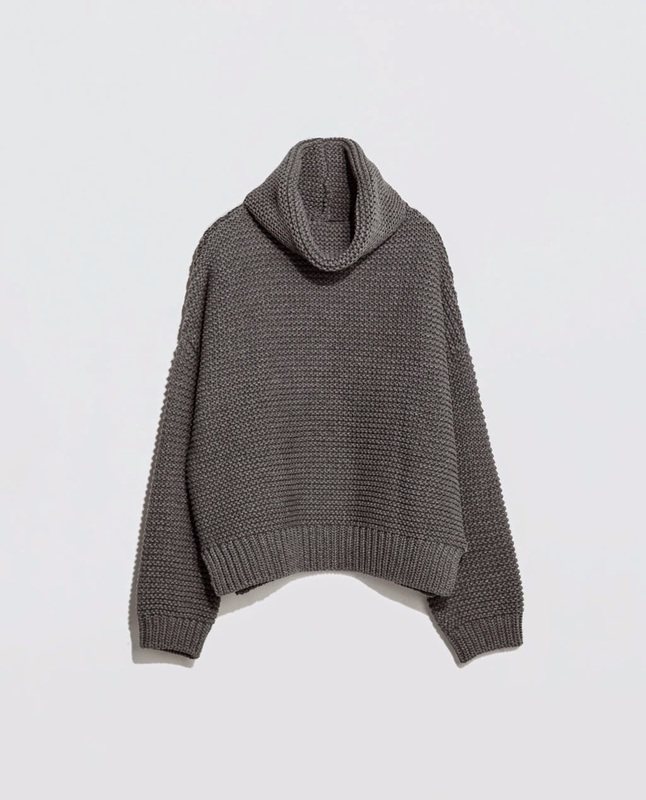 I fancied a softer looking shirt-style for wearing under a sweater! It's polyester, pretty good quality for the money! At £9 you can't go wrong! These have to be my best bargain of the season so far though! I know I will wear these to death! You know how I love my footwear and these may well turn my affections from my beloved Stan's! I spotted these in one of the Sunday glossies....you can see why I fell head over heels for them! These M&S beauties were just £25! 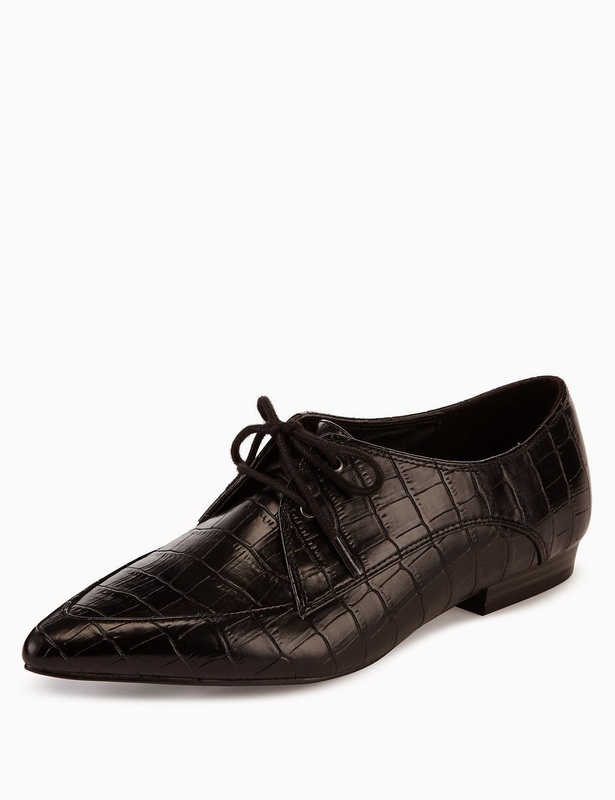 They are not leather, but they have the Insolia. When I wore them for the first time I wore them without any socks shopping for the day and they were the height of comfort! Definitely a shoe that looks the part and is comfy to boot (pardon the pun!). So here they are on their first airing....in full-on man repelling mode here! And finally, I have my lovely friend Jane of My Midlife Fashion to thank for the next purchase. Another bargain I just could not resist! 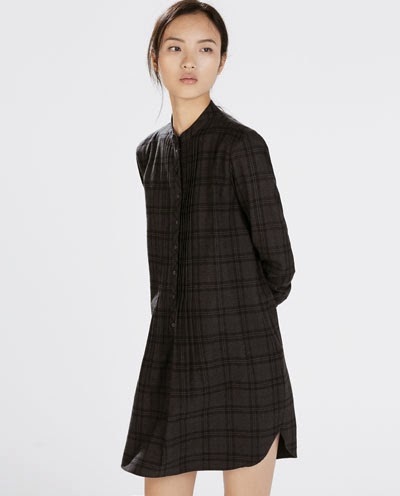 After shoes, coats are my second love and I am particularly fond of a good old pea coat......well Jane alerted me to the fact that this little winner from Wallis was reduced to just £29! An unbelievably good buy, I promise you! Here I am donning for the first time! And so onto the rest of my outfits from the past few days.